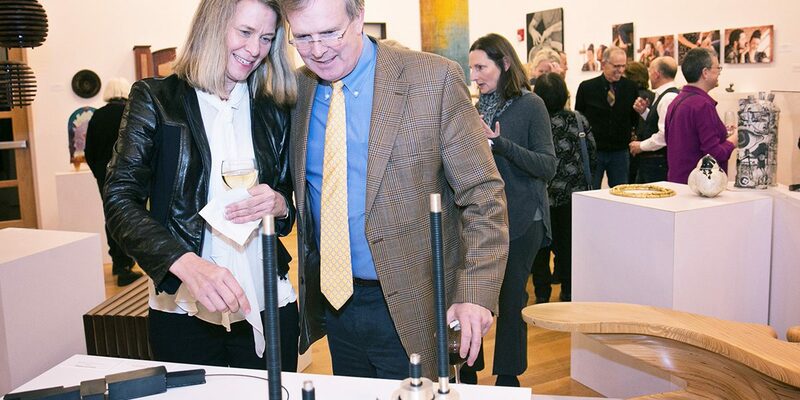 A juried group exhibition of contemporary fine craft created in any medium including glass, fiber, clay, wood, metal, stone, mixed media and other materials used in 3D printing. Jane Milosch is founding director of the Smithsonian Provenance Research Initiative in the Office of the Under Secretary for History, Art, and Culture, Smithsonian Institution. Previously she was Senior Program Officer for Art, directing pan-Institutional art programs, new interdisciplinary initiatives and strategic planning efforts for the arts at the Smithsonian. She completed the Getty Leadership Institute program. Milosch was Chief Curator at the Renwick Gallery of the Smithsonian American Art Museum, curator of the Cedar Rapids Museum of Art in Iowa, and of the Detroit Institute of the Arts. As Fulbright Scholar in Munich, she was managing editor for Prestel art books and consultant to art museums, galleries, and other cultural institutions. Her research interests include modern and contemporary art, craft, and design, especially the intersections of art, science, design, and technology.